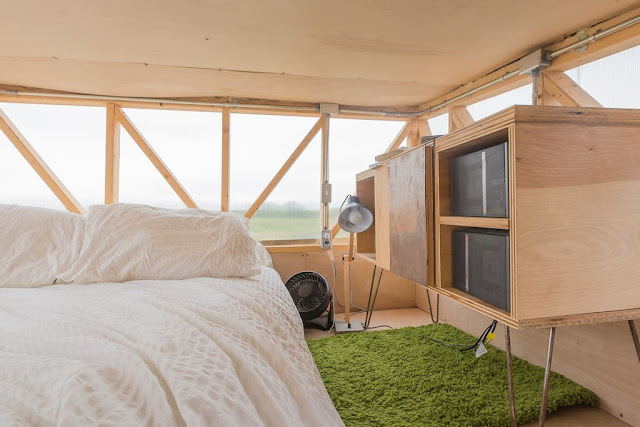 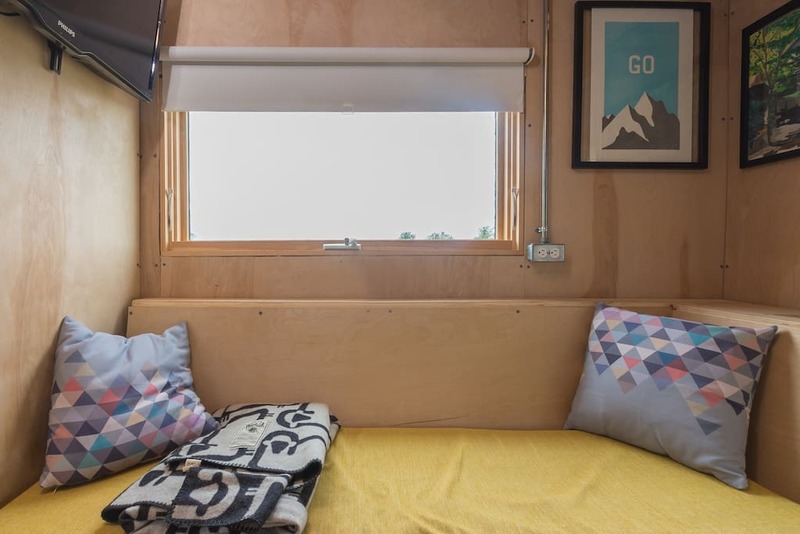 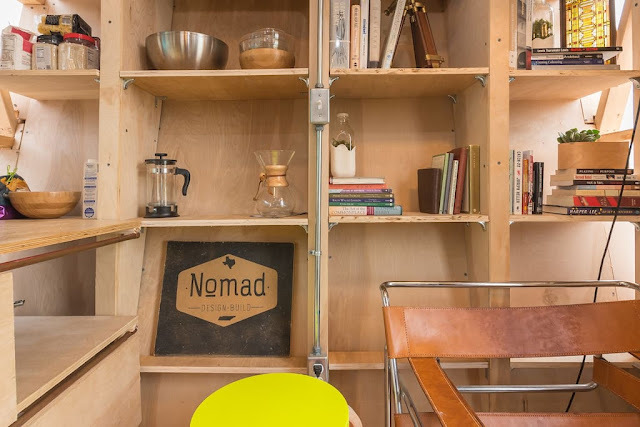 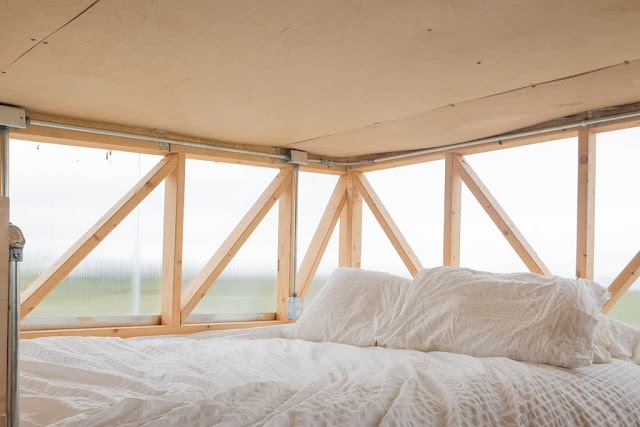 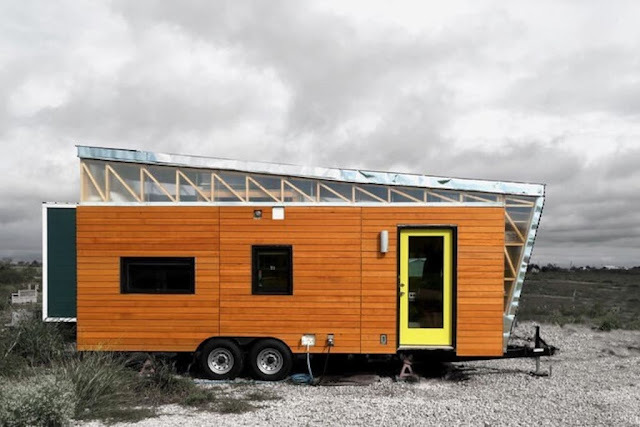 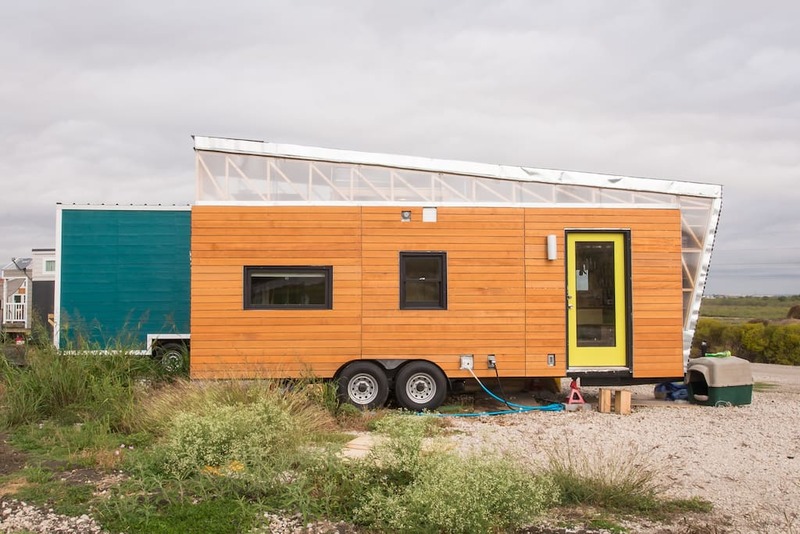 The Kinetohaus tiny home is a Texas rental and is the perfect weekend getaway if you live nearby! 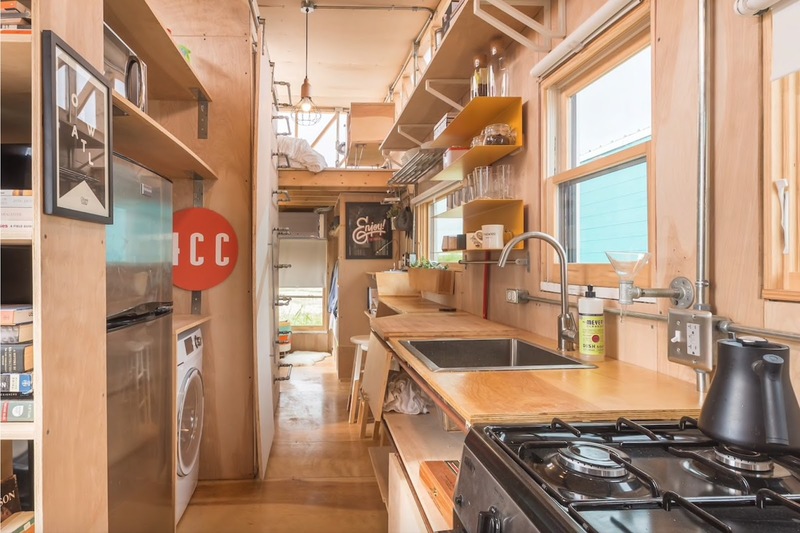 This house has a living space, lofted bedroom, bathroom and kitchen. 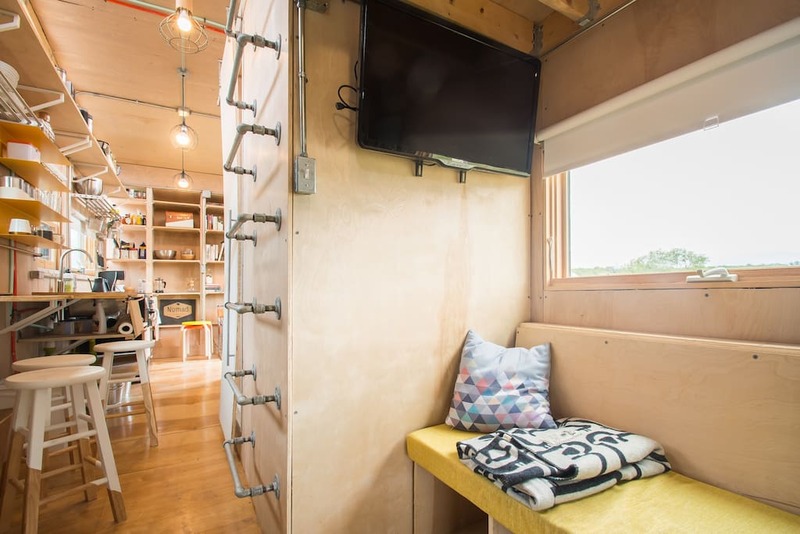 The living area features a custom sofa and a wall mounted television. 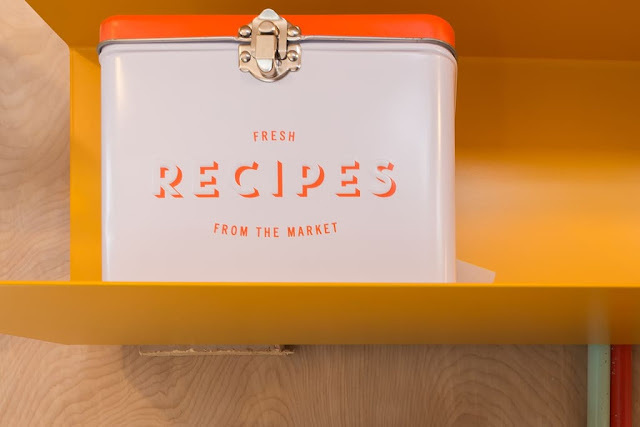 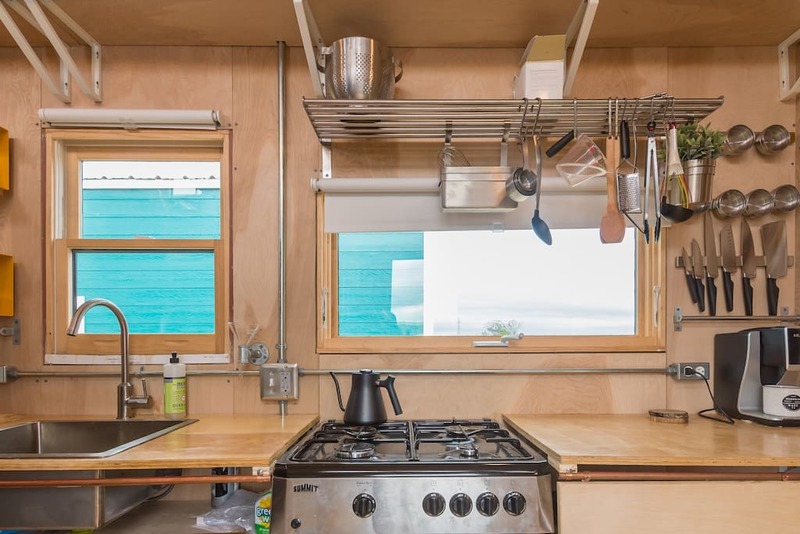 The kitchen has a 4-burner gas range, large sink, refrigerator/freezer and washing machine. 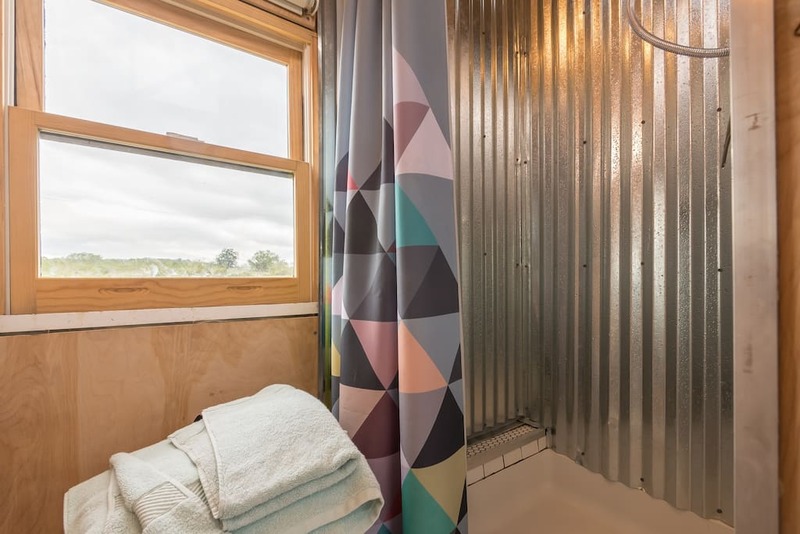 Also, the bathroom features a walk-in metal shower. Because the owner of this tiny home resides here full-time, this rental feels homier than a hotel! 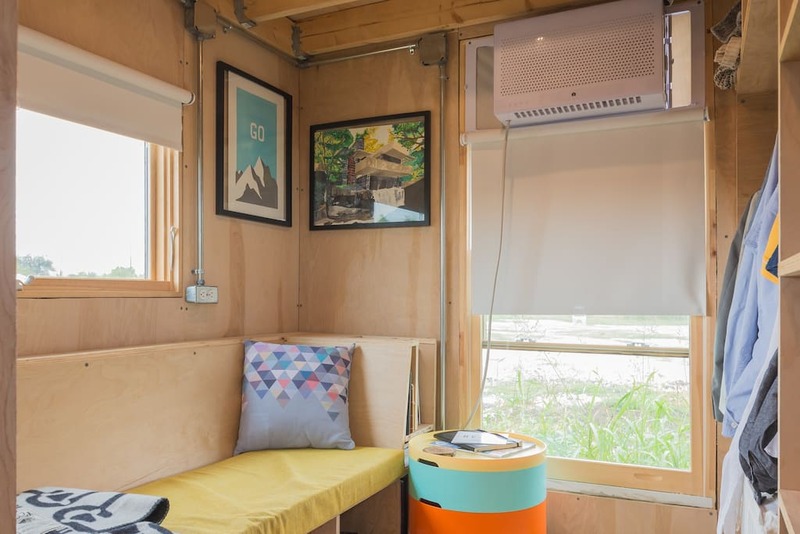 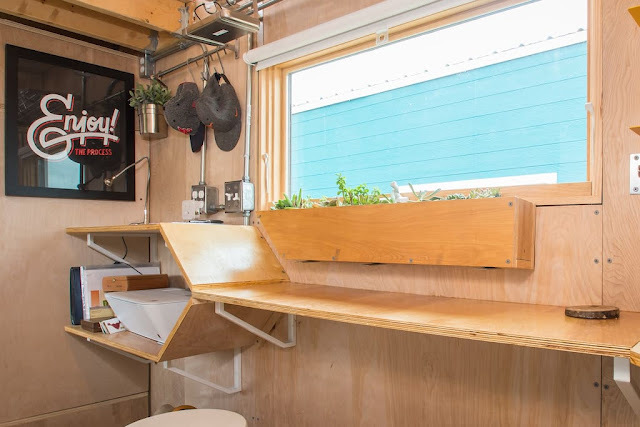 For information on renting this tiny home, visit its Airbnb listing here!